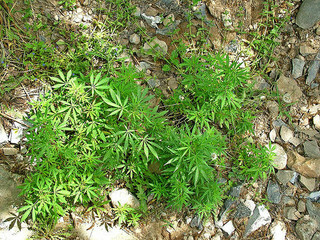 Pakistan Pakistan is one of the world's largest producers of hashish, much of which is trafficked via the Middle East and Central Asia to Europe, Africa and North America. Cannabis grows wild in many regions of the country; cultivation is widespread, and is believed to be increasing due to ongoing political and economic instability. Pakistan is one of the world’s largest producers of hashish, much of which is trafficked via the Middle East and Central Asia to Europe, Africa and North America. Cannabis grows wild in many regions of the country; cultivation is widespread, and is believed to be increasing due to ongoing political and economic instability. Cannabis is illegal in Pakistan, although its possession and use is far less likely to be penalised than that of ‘harder’ drugs such as heroin and amphetamines. On the other hand, drug trafficking and consumption are viewed as serious—and growing—problems, and Pakistan is under constant pressure from the international community to achieve greater control over the flow of illicit drugs transiting the country. The organisation tasked with implementing Pakistan’s drug law and coordinating drug investigations abroad is the Anti Narcotics Force (ANF), established in 1995. In 2010, the Afghani, Iranian and Pakistani ministers for drug policy met in Islamabad and agreed to extend cooperation between the three countries, including improved sharing of information and mounting of joint patrolling operations in the border regions. In some parts of the country (particularly the northwestern tribal areas), laws prohibiting use of cannabis are infrequently enforced, and it may even be sold in public markets with no repercussion from authorities. However, in other regions such as Lahore and Islamabad, possession may be punishable by between six months’ and two years’ imprisonment. 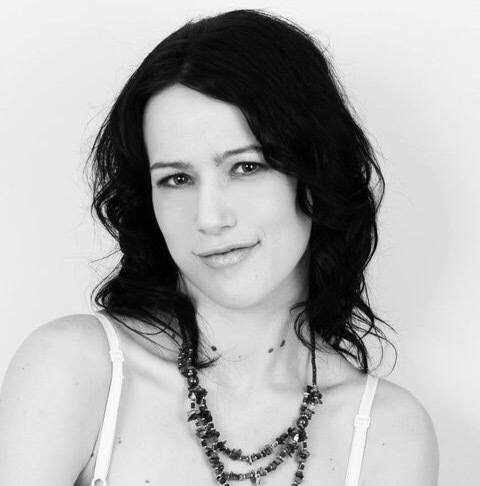 The penalties for trafficking of cannabis and other narcotics are far more severe. Pakistan retains use of the death penalty, and according to law it may be applied to anyone convicted of trafficking over one kilogram of an illegal drug. In practice, death sentences are rarely applied for amounts of less than ten kilograms. In 2008, a moratorium on executions was imposed; this ended in 2012 as a single individual convicted of murder was put to death. Since then, no executions have occurred, but around 8,000 people remain on death row, many for drug offences. In February 2013, ANF agents seized ten tons of hashish in a raid on a Karachi warehouse, however, no arrests were made. Also in February 2013, a provincial excise inspector was arrested in Karachi for possession of around 80 kg of hashish. In March 2013, police in Swabi district in northeastern Pakistan seized two tons of high-quality hashish destined for Punjab. Due to its 2,430 km, porous border with Afghanistan, along with its vast tribal territories that exist outside of central government control, Pakistan is highly vulnerable to drug trafficking. Hashish, raw opium and heroin enter Pakistan through Afghanistan, and are shipped on to the Middle East, Europe and North America. The southern coastline of Balochistan and the seaport of Karachi are crucial for transshipment of hashish and heroin destined for the Gulf States. Smuggling by sea is most common between April and June, and is lowest in July and August due to rough weather and excessive humidity, which can degrade hashish. In a typical scenario, a mother ship will anchor in deep water and smaller, high-speed craft will load and unload the hashish. Land-based trafficking gangs operating out of Pakistan and Afghanistan are well-equipped, organised and brutally efficient. Movements of law enforcement agents are tracked using state-of-the-art communications equipment, and gangs often travel in multi-vehicle convoys with advanced weaponry, including anti-tank rockets and anti-aircraft missiles. Cannabis grows wild in many rural areas of the country, and is cultivated almost as widely. The wild varieties of cannabis in the lowland regions are usually low in cannabinoids and may be either C. sativa or C. ruderalis; however, in the northern mountainous regions of the Hindu Kush and the Karakoram, high-cannabinoid C. indica strains may also be found. Cannabis also grows freely in major cities such as the capital Islamabad and the second city Lahore, although cultivation is not widely practised in cities due to the increased presence of police. Osama Bin Laden’s compound in Abbottabad, a city in northeastern Pakistan, was reported to contain cannabis plants growing in a vegetable patch at the time of his discovery and execution in 2011. In recent years, the possibility of legal hemp cultivation as a means to boost Pakistan’s struggling rural economy has been put forward in the media and in research. It is argued that hemp cultivation, which can be conducted on marginal land, could free up land needed for food production but currently used to grow cotton. However, there is no indication that the government has taken any steps to implement hemp-growing programs. The heartland of cultivation and traditional hashish production in Pakistan lies in the northwestern Federally Administered Tribal Areas—vast swathes of rugged, fertile terrain, beyond reach of central Pakistani authority and ideal for cultivation of cannabis and opium poppy. Opium is primarily cultivated in the Afghan tribal territories just across the border—which tribal populations can cross unchallenged, as can vast quantities of contraband—but it is estimated that at least 1,000 hectares of poppy fields are operated in Pakistan. Tirah Valley in the mountainous Khyber Agency region has achieved minor renown for its vast cannabis fields and abundant hashish production. Jamrud, a small town known as the doorway to the Khyber Pass, has over 250 currently-operational hashish shops. In 2013, tribal conflicts over control of the region meant that many farmers could not venture into their fields to plant their crop, and the harvest suffered greatly. As a result, hashish prices have skyrocketed, from Rs20,000 (€140) for one kilogram before the conflict began to Rs50,000-65,000 (€350-€455) at present. The tribal areas are out-of-bounds to foreigners unaccompanied by armed bodyguards, and the threat of violence and even kidnapping and ransom is always present. The tribal areas are home to various heavily-armed militias, and it is alleged that the proceeds of hashish produced for export are used to fund insurgency. In 2004, a boat crewed by suspected Al-Qaeda members was intercepted off the coast of Pakistan en route to the Gulf States and found to be loaded with almost two tons of hashish. 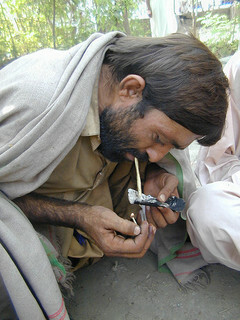 There are several methods of hash-making in use in Pakistan, which are used to produce a range of hashish grades. Generally, the first stage of the process involves threshing the dried plants over a thin woven cloth to separate the ‘garda‘ (dried resin, or trichomes) from the unwanted plant matter. One large-scale commercial method involves placing the garda in a metal pan with a small amount of water and gently heating it, while using a large stone or boulder to knead the pollen and encourage it to bond. Ghee, henna and other adulterants may also be added to the mixture, to facilitate bonding, or to increase weight or aroma. A more traditional method is to place the garda directly into a goatskin, which is then stored for several months. The subdermal fat beneath the skin enables the bonding process, gradually turning the golden-brown garda into a sticky, greenish-brown mass. Reportedly, the flavour of the end product improves according to the length of time it is kept in the goatskin. Smaller quantities of high-grade hashish are hand-made for personal consumption and local distribution, although some high-grade hashish may also be exported. Producers of high-grade hashish typically purchase good-quality ‘garda’ from growers and hand-press it into dark, sticky ‘eggs’ which may be of exceptional flavour and effect. Pakistan has several religious communities, including Sufis and Hindus, that have used cannabis for centuries as a means to achieve euphoria and spiritual enlightenment. Their ability to do so has generally gone unchallenged by the Pakistani authorities. 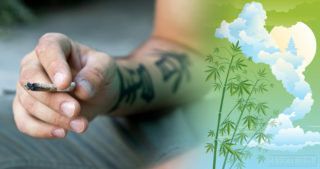 As well as smoking hashish in a chillum or similar device, cannabis is widely consumed in the form of bhang, a potent yoghurt-based drink that is associated with the worship of the Hindu god Shiva. Aside from religious use, in some communities cannabis is used recreationally and is not socially prohibited. In contrast, alcohol is almost universally disapproved of, and its use is confined to foreigners and particularly Westernised Pakistanis. Traditional use of cannabis in medicine is also well-documented in Pakistan—for example, bhang is recorded as an effective treatment for dysentery. Cannabis use is equally widespread in both urban and rural areas; it is almost exclusively consumed by adult males. Pakistan’s approach to cannabis has changed in recent decades. 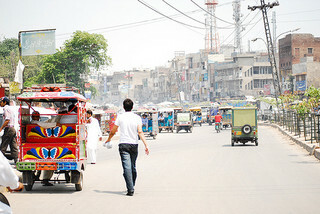 In the 1960s and ’70s, Pakistan was an essential stop-off point for travellers on the ‘Hippie Trail’ that snaked through Asia; cities such as Peshawar, Lahore and Karachi embraced the trend, and a thriving tourist culture sprang up. 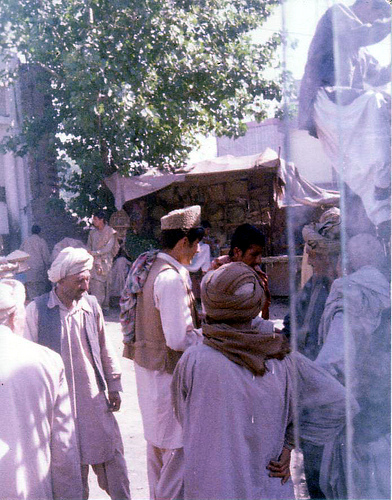 It was during this period that the famous hashish markets of Peshawar were established, and although they still thrive, control of the hashish stock has passed into the hands of organised militant groups. As a result, the government has stepped up efforts to combat trafficking. It is easy to obtain cannabis and hashish throughout Pakistan, although hashish is considerably more common than herbal cannabis. It is reported that police in many areas of Pakistan are willing to accept bribes in exchange for ignoring drug offences; however, this is never guaranteed, and it is advisable to avoid encountering police in most areas as they may be heavy-handed. However, if consuming cannabis discreetly in one’s own home, there is usually little risk of arrest. In Lahore, Jallo Park is well-known for its cannabis, which grows freely and can reportedly be obtained in large quantities in return for tiny sums paid to the gardeners. 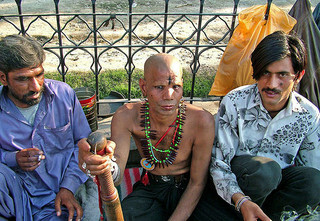 The city of Karachi’s Abdullah Shah Gazi Mausoleum, an ancient Sufi shrine, is also scene to regular ritual cannabis consumption in which mystics, devotees and interested onlookers are all welcome to take part; it is reported that watching police are more likely to respond to illicit public touching than to any cannabis-related issue. Occasional crackdowns do occur, but are usually dealt with by payment of bribes. In many cities, street dealers will offer cannabis openly to passers-by, particularly those considered to be foreign or affluent in appearance. However, such dealers are often working in cooperation with corrupt police officials; after the transaction is made and the police alerted, the resulting bribe is split between the two parties. For foreigners in Pakistan, making discreet enquiries in local bars or among friends is the best means of ensuring a reliable source of cannabis or hashish. The price for hashish (usually referred to as charas) and cannabis may vary somewhat between cities, and is often negotiable. The typical quantities purchased are known colloquially as a rod (five grams) or a tola (ten grams), and usually cost around €0.30-€0.40 per gram. 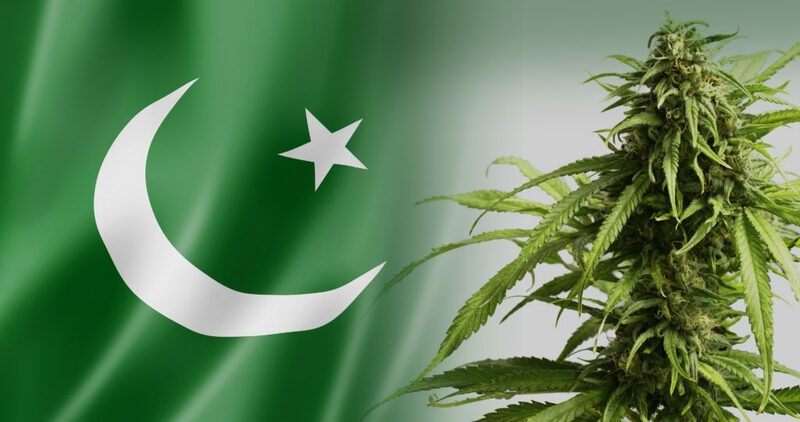 What Next for Cannabis in Pakistan? As the hashish-making industry is so well-established and so crucial to the rural economy, it is likely that Pakistan will continue to produce significant quantities for the foreseeable future. Authorities are stepping up regional efforts to combat trafficking, but thus far it appears that the relentless flow of narcotics from Afghanistan and Pakistan has been marginally affected. It is important to document the history and current events of the ongoing drug war that continues to affect the lives of so many people throughout the world. For this reason, Sensi Seeds and the Hash Marijuana & Hemp Museum in Amsterdam aim to provide the most accurate, up-to-date and unbiased information on the present situation, country by country. We welcome your comments, feedback and corrections. very thorough analysis indeed. Banning Charas lit up other concerns which effect health badly in general and socially in particular. First by imposing laws on Charas in worst manner bring users contaminated form which in worst case scenarios resulted in deaths which is what I have heard more often in Pakistan. Secondly When Alcohol a more of hard drug is legal in Pakistan within close proximity to certain communities why cant Charas(Soft Drug) be legalized that way. I mean you inform public its pros n cons prohibit them under certain conditions but banning it as whole worsen the situation. I am not favoring of drug abuse or drug feint communities but current judicial system is not helping the cause to neutralize its effects either. If you have the seeds you can easily grow and sell pakistan have great weather. can this plant be exported from pakistan legally ..as it is in bussiness in modern countries..
Hash is still available in the adjacent tribal areas, but where has all the hippies of the 70,s gone. I miss them. i am in islamabad. Where can i get weed, not hash? From what I understand, you'd have better luck going out to the rural areas where the cannabis is grown and the hashish processed. I would suggest asking your existing contacts for more information. Islamabad Shakkar parrian there is lot of wild C.sativa You have to know what it looks like. This plant is not for getting high actually , It is a wonderful alkalie , helps build immune system , and has been used for cancer treatment in canada. for that you have to youtube Rick Simpson Run from cancer cure. he teaches how to make oil. But that oil is made out of C.Indica known as M.Vana Or Hash in our country slang. I was dibetic and it helped me a lots reduce s.levels. 1/4 pound of leaves Local roadside weed . boil in water till water turns dark like coffee. mix olive oil int is , till it turns green. then remove Olive oil. Just tkae one spoon of that olove oil and pour it on any part of skin and massage. 3.it helps ammune and builds insuline. This plant is not to be used to get high It is an ultimate medicine was paitented by United states 1955 to let chemo pharmaceuticals grow. 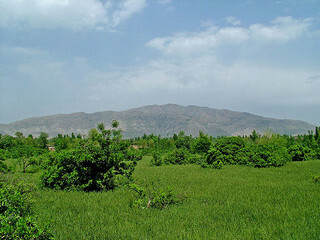 Seshata, cannabis (hash) is mostly grown in the valley of Tirah. Tirah is situated where the war against terrorism is going on. I have been tyere years before, and witnessed the crop. Was surprised when the locals told me that there are two types of cannabis . One is male and the other females. They told me that a lone bush of cannabis dont flourish unless accompnied by other pair.hahahah... surprising. Then they hit the reap one with a bed (chaarpayee) bamboo and obtain powder. They try to send it to the local market after much efforts. You can find the cannabis in tribal areas. I also witnessed a big market near Kaarkhano market in Khyber Agency. Khyber Agency is adjacent to Peshawar. Such cannabis were available in Darra too, but years back. The business of cannabis is now closed after the militry operation. any information you want,please ask me. In Lahore, Jallo Park is well-known for its cannabis, which grows freely and can reportedly be obtained in large quantities in return for tiny sums paid to the gardeners. you can't find the plant grown in karachi but hash is available very easily just need to know where to get it. Plant is very common is islamabad. But hash is easily available through out pakistan. I need weed... from Pakistan..karachi.!! Nice Info Seshata! can I take it as weed plants? there are so many wild plants in my surrounding, how can I make them usable? Someone from there should sell seeds thx. Everything is perfectly written, but that "Cannabis Growing Wild" isn't what guys are looking for. The cannabis growing wild which they're referring to in this article is actually known as 'Hemp' which won't get you high even if you smoke bundles of it and is legal and used in industrial purposes. Buds don't grow on it, it contains above 17% cannabidiol(CBD) which is a substance totally opposite to tetrahydrocannabinol(THC). THC is the actual substance you're looking for, and is responsible helping you achieve that euphoric state(in getting you high) and Hemp contains only 0.3% THC, therefore, it is useless if you go for smoking it. Plants with high THC, called Marijuana belong to the same genus as Hemp known as 'Cannabis Sativa'. But Marijuana contains above 0.3% THC and you can find upto 20% THC in Marijuana plants other than it's hybrids which can contain upto 50% THC. People literally need to know the difference between Hemp and Marijuana and need to stop considering them the same thing. PS, Marijuana needs to be properly cultivated, and is ever going to grow "WILD". Just FYI. The article is pretty much informative though. :) Thanks. Umar, my 14 year old daughter is suffering from Epilepsy , in Some States of America Epilepsy is treated by Cannabis plants which are high in CBD ,from these plants they extract oil or a paste like thing and then given to the patients with their food and the results are amazing u can see them on youtube , from ur comment u know about this thing , can u Help me on this . Hamza, I think Umar has explained already. The variety growing wild is the non-indigenous C. Sativa strain. It is not potent (i.e. very low THC), but would be an excellent strain, given how hardy it is for hemp production. This is what they make "bhang" from. However, for Bhang, there is an extraction, it is a very slight buzz over a long period. In Islamabad (at least) the CDA burns and cuts the wild crop before it grows any buds; I guess this is because it is a pest species but also because they don't want anyone smoking low quality bud (hahah). Additionally, given that there are male plants in the area, the bud from the female is not of good quality either. The male plants have to be removed, else the females produce seed and do not produce as much THC in the bud. It is not good for smoking, hashish, etc. It is a proper "weed" and should be a good starting point for hemp production in Pakistan. If you want to grow you own weed, then best to purchase seeds from an online retailer. The problem with growing outdoors in Pakistan (in most areas, other than Karakorum and Hindu Kush) is that the temperatures in summer go quite high (25 degrees is recommended typically during vegitative and flowering stages). The humidity is also extremely high in July and August (which is when your plants will start flowering, if you are growing outdoors). This is not good for the bud; humidity will lead to a host of problems and your bud can easily get a fungus or something (you cannot spray the bud with insecticides and pesticides because you actually smoke it). The other problem is limiting cross pollination from the C. Sativa growing wild. Because you don't want your plant producing seeds (and bad seeds at that). Its actually pretty bad. Best to also invest in some lights, so you can ensure your plant only goes into flowering stage in September (i.e. use sunlight during the day and when the days start becoming shorter in July and August, start turning on your light to ensure your plant gets 18 hours of sunlight/artificial light). You can then harvest end of October. This means your bud will be excellent, as the weather conditions (humidity and temperatures will be perfect). The alternate to this is to grow indoors, but you will need to run an air conditioner to keep temperatures at 25 and humidity low. In general, just because we have one strain of low-potency C Sativa growing wild, doesn't mean all the high THC strains will easily grow in most areas Pakistan. You will note that in places like Kabul, the temperatures and humidity through June, July is perfect. Same thing in Kohat, Tirah, Darra, etc; the temperatures and humidity in June and July are better than they are in Islamabad, Lahore, Karachi, etc. Your comment was edited as we do not approve comments containing email addresses. I am glad you found the blog post useful, for more information you can try using the Search function in the top right corner to check for more articles which contain your search keywords (hashish, opium etc). where can you find canabis SATIVA in pakistan and can it be made into the brown block resin thing or is it just purely in its green plant form?? Also what do you actually call canabis SATIVA in urdu / pakistan?? Best you buy seeds and grow it. Finding Sativa, hashish or bud is hard enough in Pakistan. You'll need to do some research into the weather conditions needed to grow outdoors, or spend some money on indoor kit (and probably use an AC in July and August). Or try find the "red tint" maal Molvi is talking about. I've only ever seen it like twice in 20 years. The Red (laal) Garda (having a red tint), is actually sativa. And the one readily available in Pakistan the Hash with a greenish tint is Indica strain. Does Anyone know where to get a max THC strain ..... ? i need cannabis oil for medicinal purpose.. how can i get this..?? We have specials on most strains and are committed to providing access to high-quality cannabis, cannabis accessories, and information about cannabis, hemp and political activism. You may find us on facebook - we are, Karachi Cannabis Dispensary. Thank you for supporting our vision & our mission! Hello, I received seeds from the Azad Kashmir region, the plant itself developed into a rather bushy monster, about 7 feet in height and with very large fan leaves, the smoke is fairly strong, good body high. Don't have a name for though I do think it is an hash plant ( sticky resin ). That might be chitral kush. Nice Article. Though you can update it, as in Karachi, hash is banned from all the places we were able to score it in the past from. Also, if anyone can help me get Indica seeds in Karachi, that'd be amazing. I can find hemp seeds but they are not rich in THC. Well,I know a place where you will only see cannabis plant,but don't know what specie is that..Kindly tell how can I prepare it for smokin'? Hi all I am Dr S A Raza I am working on medicinal cannabis for quite a time in Pakistan and have done considerable research on quantification of THC and CBD in cannabis verities. I look forward and working on legalization of medicinal cannabis with low THC and high CBD. Cannabis with CBD have huge potential for medicinal benefits. Interested to read that you are working on strains of medicinal cannabis in Pakistan. We are interested to grow high CBD product for local and export market and, potentially, industrial hemp for fibres. We have several hundred acres available in PK and at stage one to assess the possibility. My colleague, is travelling to PK this week (03.04.19). Would you be available to contact? Is any one knows the exporter for hemp's seeds. For millennia, cannabis has been an integral part of Chinese industry and medicine—the longest recorded use of cannabis of any culture. It is now illegal in its narcotic form, although the hemp industry is legal and thriving. Chinese companies have also shown remarkable alacrity in obtaining cannabis patents in recent years. 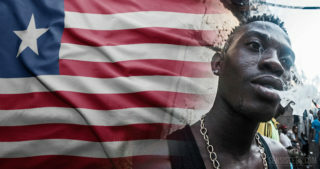 The Republic of Liberia is a small West African nation with a population of around 3.7 million, of which around 70% is dependent on agriculture. Despite having enjoyed historic periods of stability and economic growth, the civil war (1989-2003) devastated the country’s infrastructure and economy, leaving millions impoverished. Rabies is a disease caused by the virus Lyssavirus rabies, which is capable of infecting all mammal species including humans. 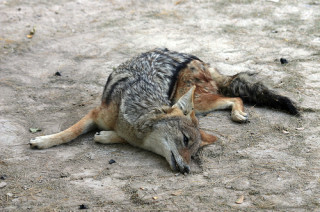 Although rabies is not easily transmitted between humans, 60,000 fatalities occur worldwide as a result of rabies each year, the vast majority (97%) caused by bites from infected dogs.